Since 1955, the Hutcheson Memorial Forest Center has served as a center for research and education in ecology and conservation. Through the combination of long-term studies and active research development, the Hutcheson Memorial Forest Center explores topics of fundamental ecological interest, as well as those relevant to ongoing environmental change. The Hutcheson Memorial Forest Center supports a diverse array of research, including forest ecosystem function, plant/forest community dynamics, and the impacts of land use change and biological invasion on ecosystem function. Featured research efforts are described below, while an exhaustive list of research conducted may be found in our archive of publications and abstracts from the annual HMF Center Research Symposium. What is the potential for native plant plant communities to reestablish following the exclosure of deer? 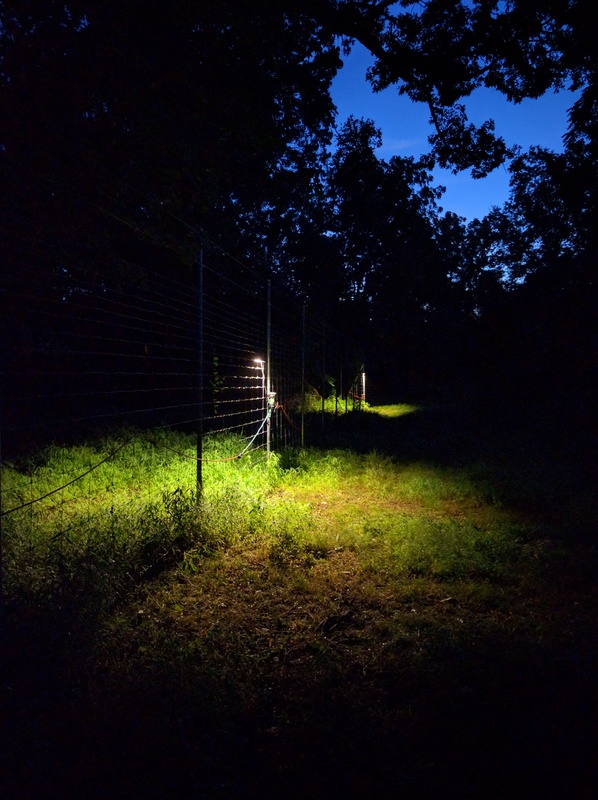 The construction of the HMF Center deer fence, and subsequent release from herbivory pressure, present an opportunity to measure the ability for native plant communities to recover and the potential ecological barriers to their successful recruitment. Several concurrent experiments examining seed dispersal, recruitment limitation, clonal reproduction, and management options have been deployed in the old growth forest at HMF Center to better understand the future fate of the forest and identify appropriate interventions with the goal of sustaining the ecological integrity of this natural landmark. 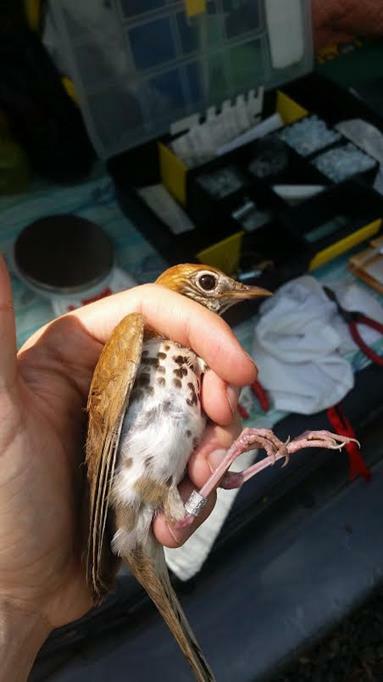 Bird populations at HMF are closely monitored through mark recapture methods. Starting in 1960, mist nets have been used during the breeding season (May-July) to capture and track song birds. When birds are captured, a small aluminum band is placed around their leg so that changes about the health of individual can be monitored. Additionally, marking individuals allows us to estimate bird populations. The undeveloped and isolated nature of Hutcheson Memorial Forest makes it ideal for light pollution studies. Lighting is installed on the edge of the old growth forest in order quantify light's impact on arthropods. Pitfall traps capture insects when lights are on and off to investigate how light changes species richness and densities.